Yesterday I had a wonderful day doing what I love the most – exploring nature with a friend. 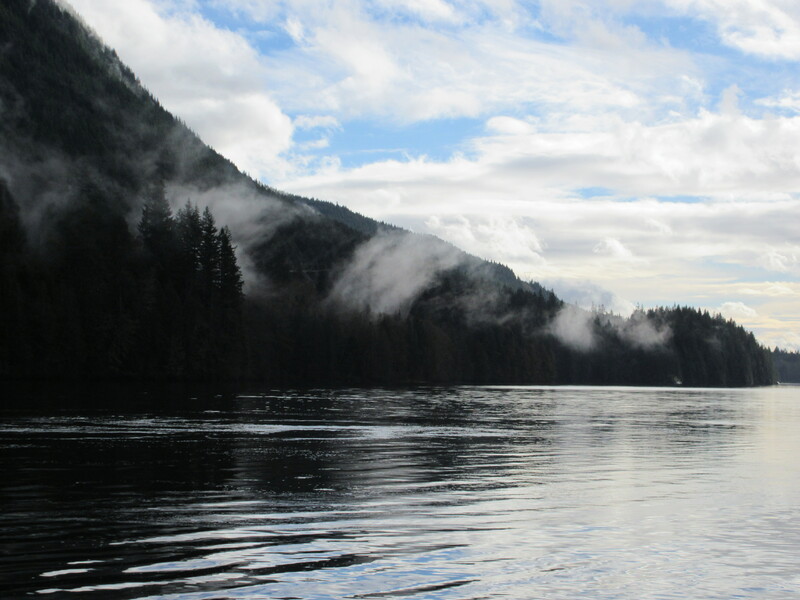 For the locals: We headed out to Buntzen Lake in Port Moody. 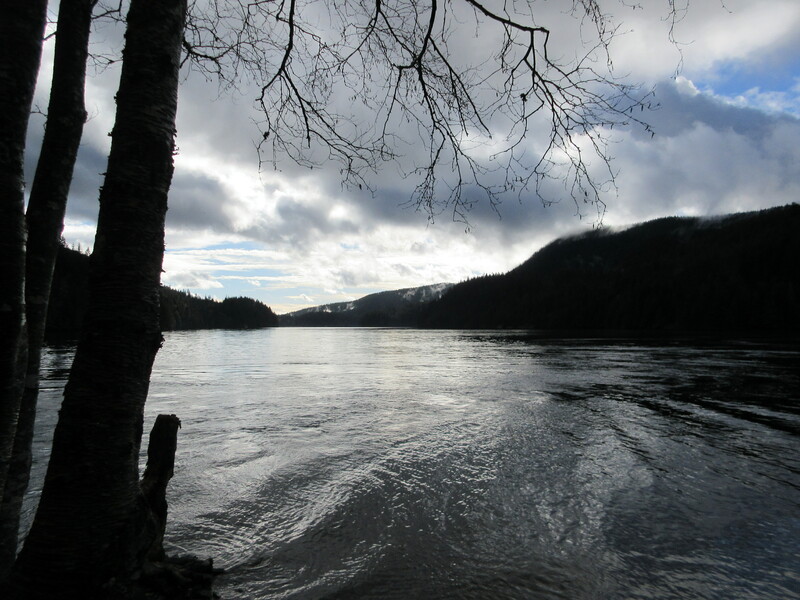 We did the loop around the lake, with a detour at the north end to go around another small lake and catch a glimpse of Indian Arm. That’s my friend leading the way. I love hiking year-round. The benefits of fall and winter hiking include the fact that you don’t get as hot and you don’t have to fend off the bugs! I love watching steam rise out of the trees to join the passing clouds. We stopped at North Beach for a snack and a stretch and got to appreciate the view. And then we continued on along the trail taking in the sites of the lake, moss covered trees, trail-side mushrooms, streams, and several waterfalls. It was a gorgeous day for a hike. I only wish the pictures could do it justice. If you are able to, I highly suggest you find a friend, pack a bag and head out into the woods! 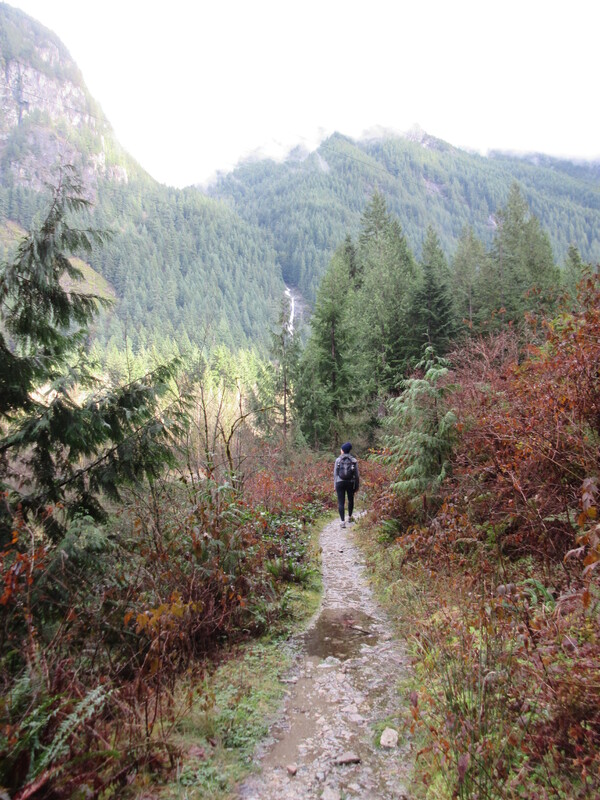 Make sure you are prepared though – hiking safety is important! Check out the Mountain Equipment Co-op website for some tips and tricks. < Previous The First Post – Who am I and what am I going to talk about? It looks gorgeous! 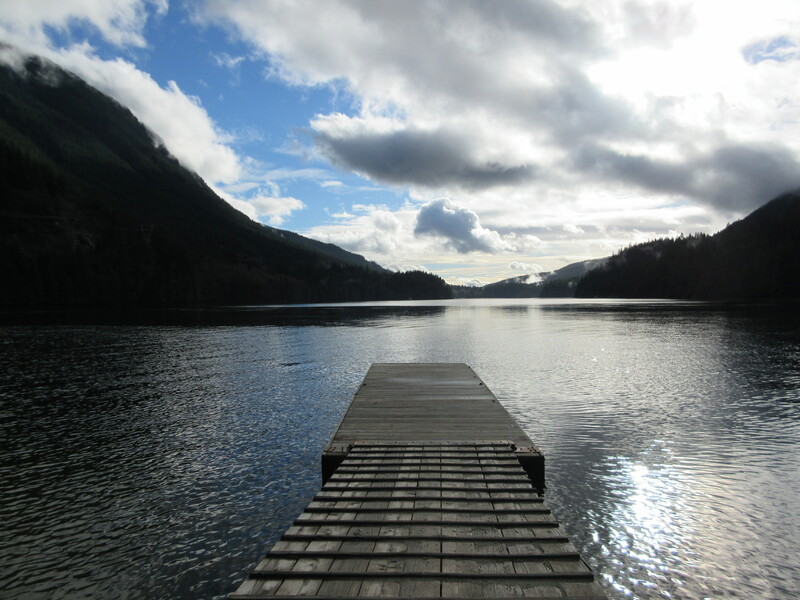 I love Buntzen Lake and haven’t been there in 10+ years. Sounds like the weather was perfect for a hike. Well next time you come to town I am going to take you there! 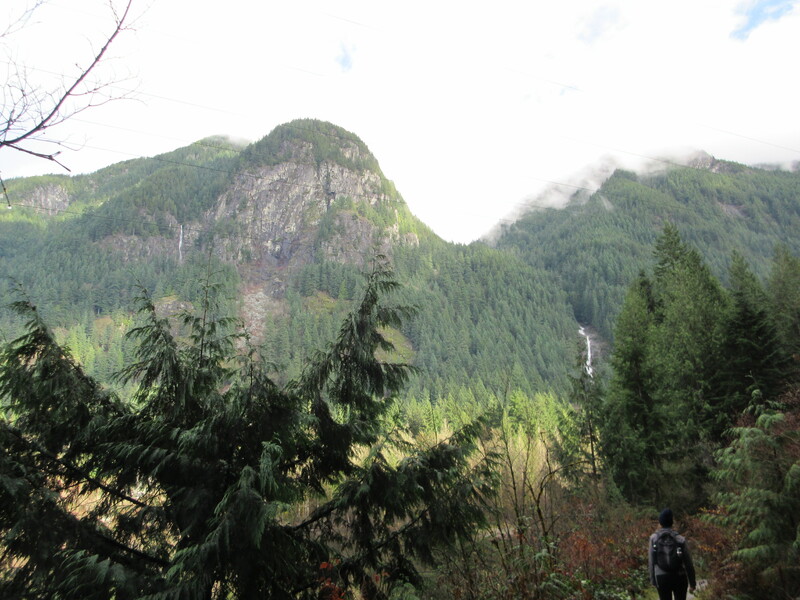 I’ve done a lot of hiking in and around the Lower Mainland. 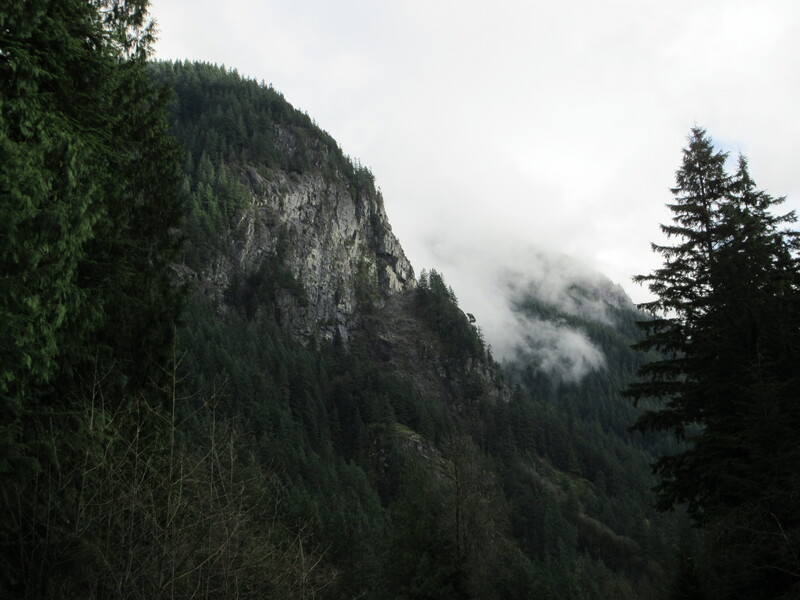 Two of my other favourites are Eagle Bluffs on Cypress Mountain and Minnekhada. Oh my, what a beautiful ecoscape. Thanks for sharing your hike!